A holistic commitment to owners and staff drives David Evans and Associates’ success. Unique precast concrete superstructure features variable cross sections to help finish complex structure in 8 months. Utilizing concrete to avoid corrosion issues. A new legacy-reconnects land and river, people and history. Norfolk light rail transit project. 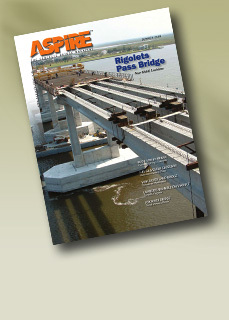 Concrete design replicates existing arch bridge so well that officials also replace original.